Kansas City, Mo. 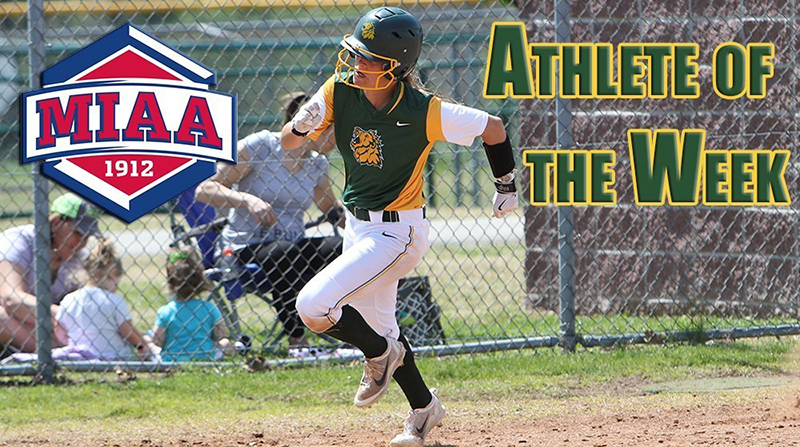 – Missouri Southern Softball junior Abi Corbett was named MIAA Hitter of the Week as announced by the conference office Tuesday, April 18th. Corbett continued her hot hitting as she entered the week 3rd in all of NCAA D-2 with 74 hits on the season and added another 13 to that total in the four games this weekend. Corbett finished 13-for-18 (.722) with a double and three RBIs while crossing home plate eight times. Corbett also a perfect 7-for-7 in stolen bases this weekend with her last one, a steal of home in the 4-0 win at Lindenwood, being her 71st career swipe. Corbett’s single to LF in the sixth inning of game 1 vs. Lindenwood was her 83rd hit of the season, a new Southern single season record. Corbett scored on a double later in that inning for her 48th run of the season which is also a new school single season record. For the year Corbett has collected 71 stolen bases, which is currently fourth on the MSSU All-Time list, 87 hits, and 50 runs.